The Infinity Ring is the newest arrival in the Renegade collection by NS Novelties. 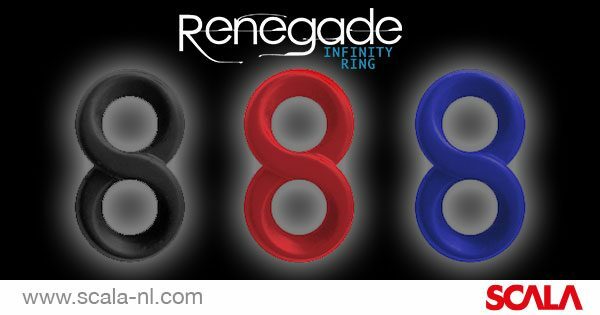 NS Novelties describes the new release: “Enjoy pleasure and performance with the Renegade Infinity Ring. It’s made of super stretchy silicone for your comfort and enjoyment, making it suitable for all types of lubricants.” The design is available in the colors red, blue and black, plus comes packaged in a non-intimidating, trendy packaging that draws attention in any in-store display.